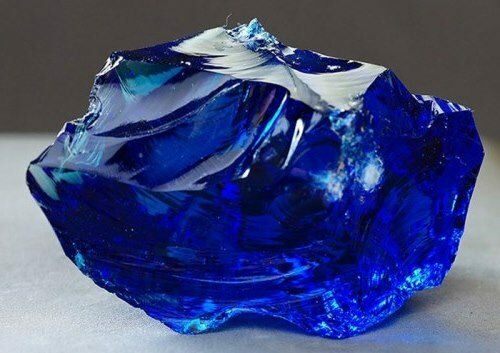 Sapphire is one of the most expensive minerals in the world. 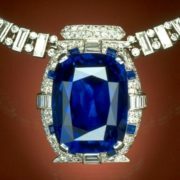 The name “sapphire” comes from the Greek sappheiros – “blue stone”. 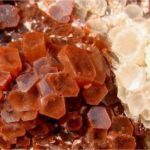 However, a similar word existed in the Hebrew and Persian languages. 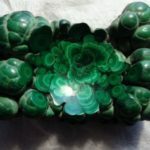 It is possible that the original source was Sanskrit. 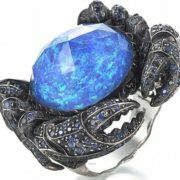 Like other blue jewelry stones, it is considered to be an “air stone” and personifies the sky. 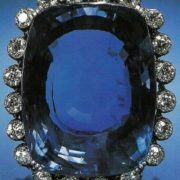 A good blue sapphire must be dense and heavy, transparent, shiny (with an inner shine) and well-cut. 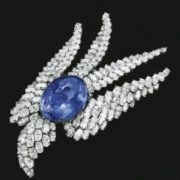 The color of the ideal stone “resembles the color of the neck of a peacock or cornflowers”. 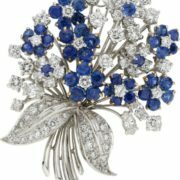 Sapphires are blue, however, there are some more rare sapphires of other colors. 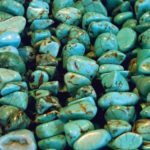 The stones, having the color of heaven and sea, are the embodiment of purity, heights and chastity. 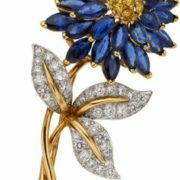 It is known that the finest sapphire boards were used to write the biblical commandments. 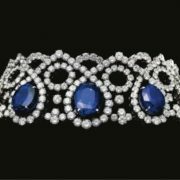 Kings and clergymen loved to decorate their outfits with sapphires, it spoke of their virtue, pure thoughts and clear mind. 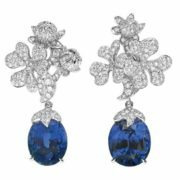 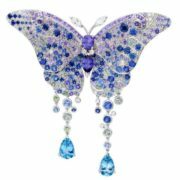 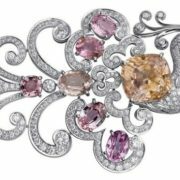 Jewelry with sapphires are beautiful, magnificent, they are majestic and mysterious. 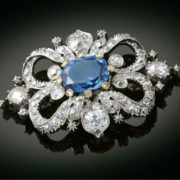 However, sapphires were used not only for making jewelry. 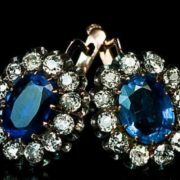 It is believed that the great Stradivarius and Guarneri used a varnish, which included crushed sapphire, in the manufacture of the violins. 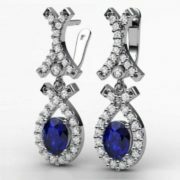 Sapphire is a stone of fidelity, wisdom, it helps to reveal intuition, get rid of fear, anger, hysteria, it calms and soothes. 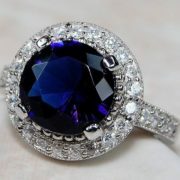 Sapphire has healing properties. 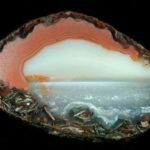 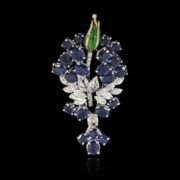 Jewelry with this gemstone helps people with lung diseases, asthma, kidney and genitourinary diseases. 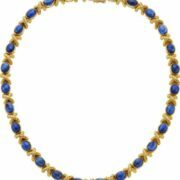 Sapphire also helps to cope with rheumatism, eczema and rashes on the skin. 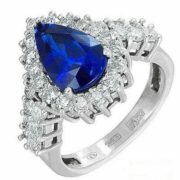 The ring with sapphire helps young girls to find fidelity in love. 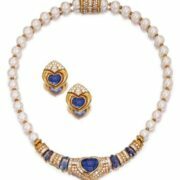 Elderly ladies should wear sapphire to strengthen memory and maintain physical strength. 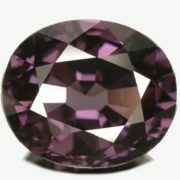 This gemstone promotes the development of creative abilities. 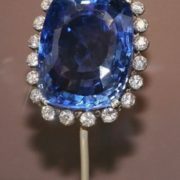 Large sapphires (over 100 carats) are very rare. 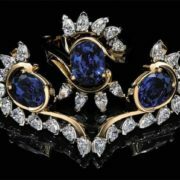 The most famous sapphires are Star of India (536 carats), almost black sapphire Black Star of Queensland (1,444 carats) and Midnight Star (116 carats). 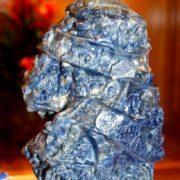 American Museum of Natural History is proud of Star of Asia (330 carats) and sculptural portraits of American presidents: A. Lincoln, J. Washington, D. Eisenhower and J. Kennedy. 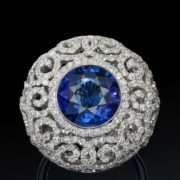 All portraits are carved from valuable (albeit with many defects) sapphires weighing about 2,000 carats each. 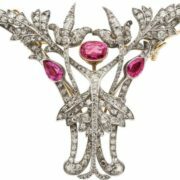 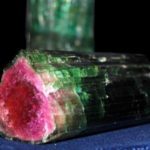 The Smithsonian Institute of the United States owes Logan Sapphire (423 carats). 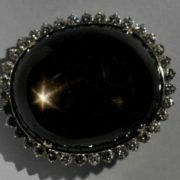 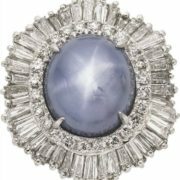 The Lone Star is the famous star sapphire, weighing 9719 carats. 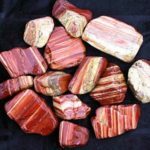 It was also called Harold Roper by the name of the owner of the stone. 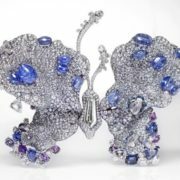 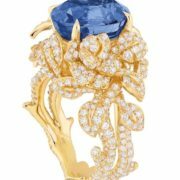 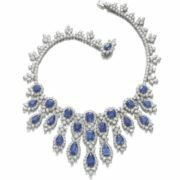 In 2014, Blue Belle of Asia, the fourth largest sapphire in history, was sold for 17 million Swiss francs (about 17.5 million US dollars) at Christie’s in Geneva. 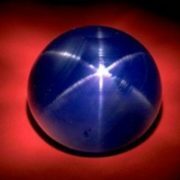 Star of Adam, one of the largest sapphires (1404.49 carats), was mined in Sri Lanka in August 2015. 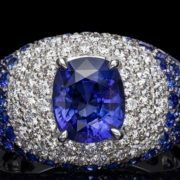 The most famous sapphire deposits are located in the USA, Australia, Madagascar, India, Sri Lanka, Burma and Vietnam. 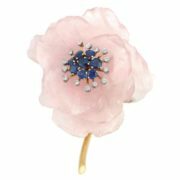 Sapphire, Frosted Rock Crystal Quartz, Gold Brooch. 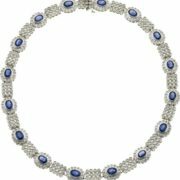 Sapphire, Diamond, White Gold Necklace. 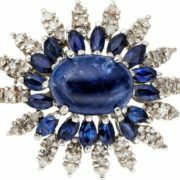 Sapphire, Diamond, Platinum, Gold Brooch, Oscar Heyman Bros. 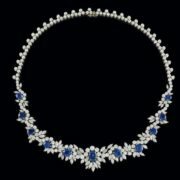 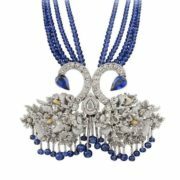 Magnificent Platinum, Sapphire and Diamond Choker, Alexandre Reza. 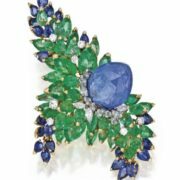 Karat Gold, Platinum, Sapphire, Emerald and Diamond Brooch, Marchak, Paris. 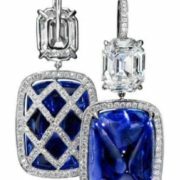 Harry Winston Sapphire & Diamond. 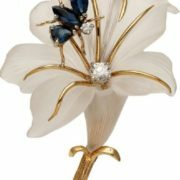 Gold, Carved Rose Quartz, Sapphire and Diamond Flower Clip-Brooch. 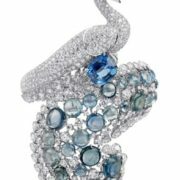 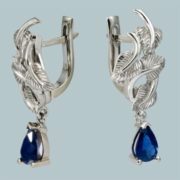 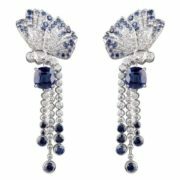 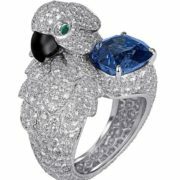 Extraordinary, Platinum, Sapphire and Diamond Bird Clip, Alexandre Reza. 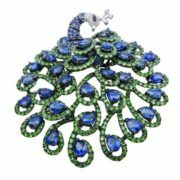 Diamond Sapphire Tsavorite Peacock Pin Brooch.